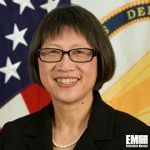 Former government and military leaders Reginald Brothers, Heidi Shyu and Camille Nichols have been elected to the board of directors of Concurrent Technologies Corp.
Ed Sheehan, CTC president and CEO and vice chairman of the board, said in a statement published Monday he expects the three new board members to offer guidance to the company. 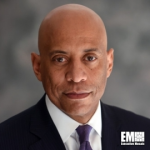 Brothers previously served as undersecretary for science and technology at the Department of Homeland Security, program manager at the Defense Advanced Research Projects Agency and deputy assistant secretary for research at the Defense Department. He has held science and technology leadership roles at BAE Systems. Shyu currently serves as board chairman at Roboteam North America. She is former assistant secretary for acquisition, logistics and technology at the U.S. Army and has held leadership roles at Raytheon’s (NYSE: RTN) space and airborne systems business. Nichols is a retired Army major general who currently serves as vice president of business operations at Fluor’s (NYSE: FLR) government group. 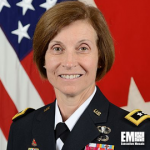 Her military career included roles such as program executive officer for soldier equipment and commanding general of the Army Contracting Command. Sheehan announced the resignation of Albert Etheridge from the board. Other members of CTC’s board include Sheehan, Howard Picking, Margaret DiVirgilio, Dale Mosier, Jeffrey Harris, Joseph Yakovac, E. Jeanne Gleason, Robert Eyer, Conway Jones, Mark Pasquerilla and John Phillips.